Pony beads are a timeless classic for every artist or crafter! Practice fine motor skills and pattern making while creating fun pieces of jewelry or bead pets. Incorporate them in hands-on learning or use them in collages, canvas crafts and multi-media art. 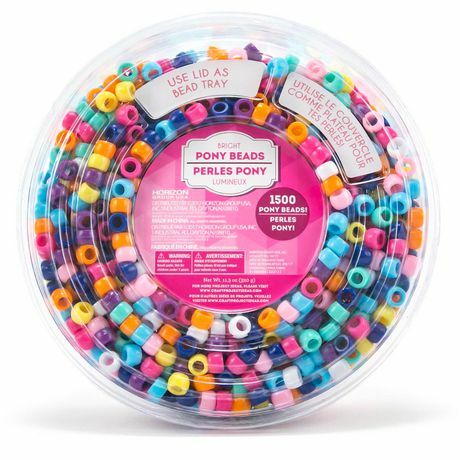 Ideal for classrooms, camps and community centers, this bead tub includes 1500 assorted bright pony beads. Recommended for ages 6 years and up.